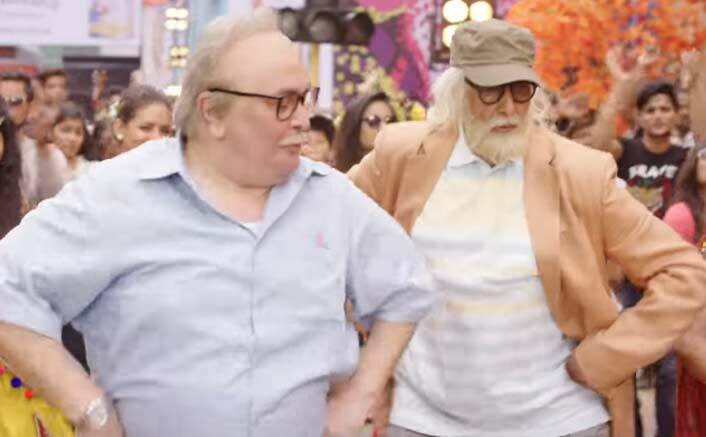 102 Not Out Box Office Collections Day 8: Amitabh Bachchan & Rishi Kapoor Are Winning Hearts! Bringing Amitabh Bachchan and Rishi Kapoor after so many years in one film was the half battle won for director Umesh Shukla. It has been been continuing its winning streak from the day one and despite the new release in Raazi, 102 Not Out is still holding its fort. A story about 75 year old old-school son and his 102 year old super cool father has been making its place in the hearts of people. The word of mouth has been very good for the film and it’ll not come as a shock if it holds very strong this week too. 102 Not Out has collected a very good amount of 1.85 crores on its 2nd Friday. The number is super-special because Alia Bhatt’s Raazi has taken over the driver’s seat and doing well; despite this fact 102 Not Out has emerged with such collections. It now stands at the grand total of 29.55 crores and the business on its 2nd Saturday and Sunday is all set to grow. Kriti Sanon’s Sister Nupur Sanon Gears Up For Bollywood! Baaghi 2 Box Office: A Gigantic Success For Tiger Shroff & Team! 102 Not Out portrays the relationship between a 102-year-old father, essayed by Big B, and his 75-year-old son, played by Rishi, on the silver screen. Produced by Sony Pictures Entertainment Films India, Treetop Entertainment and Shukla’s Benchmark Pictures, the film is slated to release worldwide on May 4. The post 102 Not Out Box Office Collections Day 8: Amitabh Bachchan & Rishi Kapoor Are Winning Hearts! appeared first on Koimoi. 102 Not Out Box Office: This Amitabh Bachchan & Rishi Kapoor Starrer Is On A Winning Streak!